Voted Condé Nast Traveler’s No. 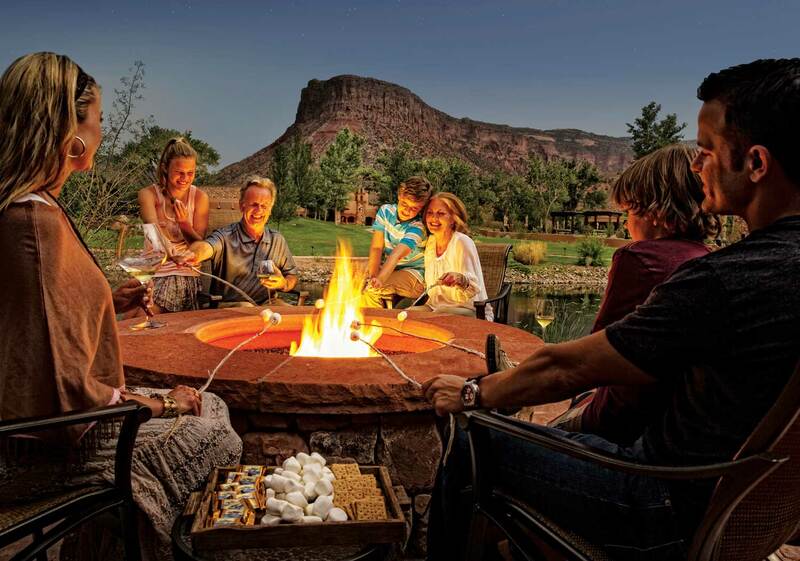 2 resort in Colorado, Gateway Canyons' luxurious escape in far-western Colorado's Gateway marries indulgence with outdoor adventure. Thrill-seekers can ride an ATV up the red-rock peaks, take in Unaweep Canyon’s beauty with a state-of-the-art helicopter tour or race a custom trophy truck around a track for a professional Baja desert-racing experience. Pure nature-lovers can hit the trails on an authentic Western horseback-riding experience that climbs over 1,500 feet in elevation. Or, try your hand at kayaking, fly-fishing, hiking, climbing, rappelling and mountain-biking; expert guides and rentals are all on site. After a day of adrenaline, unwind with a native desert sage massage, soak in your own private hot tub or enjoy a five-star meal under a tapestry of stars. 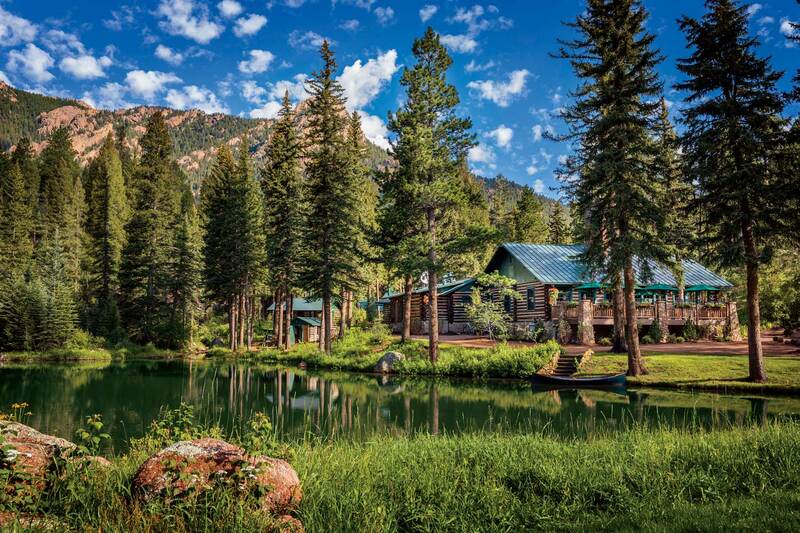 No TVs, no cell service, limited Wi-Fi — and the most memorable family vacation ever, in northern Colorado's Glendevey. Unplug and reconnect with a technology-free vacation at an authentic dude ranch where kids are encouraged to get their hands (and boots) dirty. Your children will uncover a sense of independence as they saddle and groom their own horse, feed the goats, tube down the river or take part in legendary campfire stories. Adults can embark on a rugged cattle drive or a nature hike with lessons in compassing and animal tracking. The possibilities are as endless as the starry Colorado sky. If north-central Colorado isn’t in your travel plans, check out over two dozen unique dude ranches across the state. 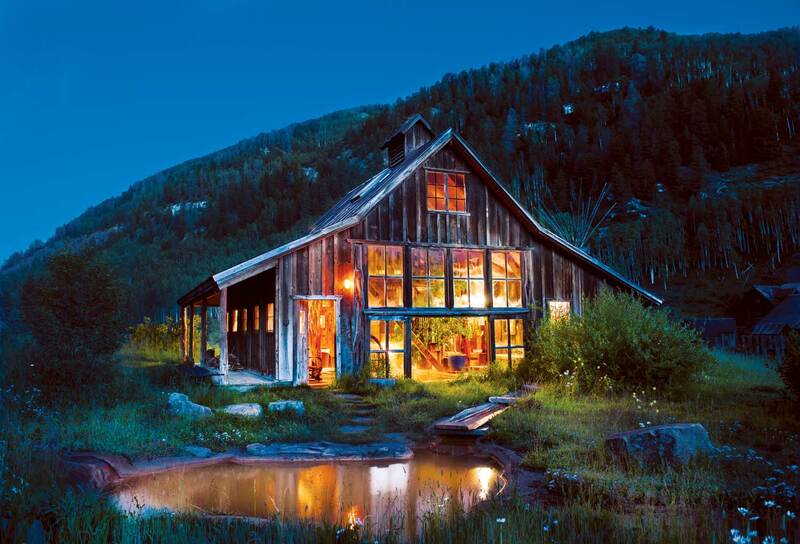 Devil’s Thumb Ranch in Tabernash offers the ideal retreat for a romantic weekend or girls’ getaway. Sink into a cozy chair by the fire and sip a glass of award-winning wine while taking in views of the rolling mountains, sprawling valley and surrounding pine forest. With rustic-chic décor and wood finishes using reclaimed materials, such as beetle-kill pine, the 6,000-acre ranch offers a perfect setting for unwinding after an afternoon of cross-country skiing or hiking. Complete your stay with a high-altitude facial, relaxing dip in the outdoor hot tub, or Vinyasa in the treetop yoga studio. Set amid the San Juan Mountains in Ridgway, Chipeta Solar Springs Resort offers many hallmarks of Colorado relaxation: solar-heated hot-springs pools, spectacular alpine scenery and recreation, proximity to world-class skiing at Telluride and cozy accommodations with bed-and-breakfast charm. Slinking from complimentary yoga classes, al fresco happy hour on the rooftop deck and crackling fireside chats, you'll forget time even exists. A Colorado Springs mainstay since 1918, the historic Broadmoor embodies the spirit of the West. The elegant hotel welcomes guests with championship golf, a world-class spa and views of Cheyenne Mountain. For a more rustic experience suited to escaping the everyday, book your accommodations at the Ranch at Emerald Valley, a private escape just a short ride up the mountain. You’ll get to indulge in a wilderness enclave surrounded by over 100,000 acres of the Pike National Forest — yet within moments, you can be whisked down the mountain to take advantage of indulgences like the Broadmoor’s famed Sunday brunch in the Lake Terrace Dining Room. Tucked in the southwest corner of Colorado sits Dunton, a 200-acre restored ghost town that has been transformed into a remote mountain escape. Cell service drops off before you arrive, but you won’t even miss it because you’ll feel like you’re living in the olden days. The resort is comprised of 13 authentically restored, hand-built cabins, a saloon, a dance hall, an open-air chapel and a bath house with a steam shower. Each cabin boasts distinctive features like a wood-burning stove or an antique copper tub, accented by views of rolling acres of alpine wilderness. Live out your own version of an Outdoor Channel show with nine miles of fly-fishing streams, romantic hot springs and nature walks where you may spot elk, deer, bald eagles and other wildlife. At night, you’ll be lulled to sleep by the sound of a neighboring 40-foot rushing waterfall.